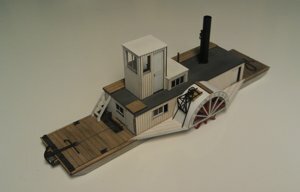 Train Troll is a "Small" family model railroad business specializing in waterline and full hull vessels, small paddle wheelers, towboats, barges, and On30/On2 narrow gauge craftsman kits, as well as unique detail kits, crates, wagons and carts in various scales. As I expand the selection of Train Troll kits, I intend to offer unique items based on both my love of model railroading, history, ships and feedback from my clientele. This site provides details of these kits as well as providing information for ordering any of our products. O Scale Baby Alligator Warping Tug "Chapleau"
Train Troll is introducing "Steamin Diesel", a new line of ship model kits and details for ship modelers. 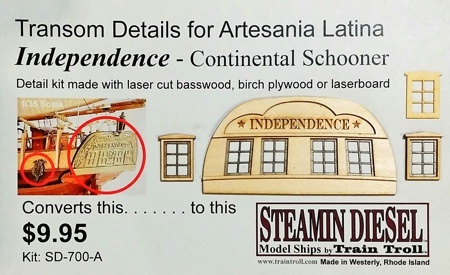 The first kit, which modifies the transom for the Artesania Latina Independence Continental Schooner, is now available for online sale. 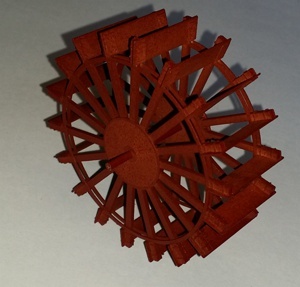 Kit is basswood with both laserboard and 1/64" plywood details. If name board is not desired, just flip the basswood over for an unmarked appearance.